Beginning Sunday, Sept. 2nd, while supplies last. Don’t let the rich dark pink color fool you– this is a truly wonderful rose: a somewhat wild wine of deep, earthy complexity that does beautifully at the table with virtually any grilled fare. Perfect for fall. And 20% off while supplies last. Siagnée rosé means “to bleed,” describing a method of rosé winemaking that involves “bleeding” off a portion of red wine juice after it’s been in contact with the skins and seeds.The blend is Cinsault, Carignan, and Mourvèdre, though the blend can change from vintage to vintage. Fermentation takes place in stainless steel with native yeast, aging in Stockinger foudre of mixed ages. 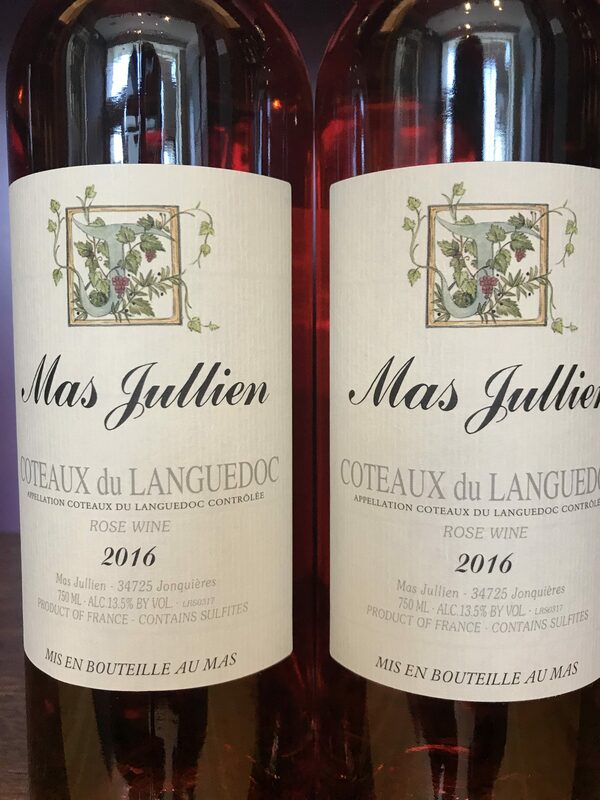 Truly a wine of terroir, this is the one of the most structured rosés we see each season, a somewhat wild wine of deep, earthy complexity that does beautifully at the table with virtually any grilled fare. Organic and Biodynamic.